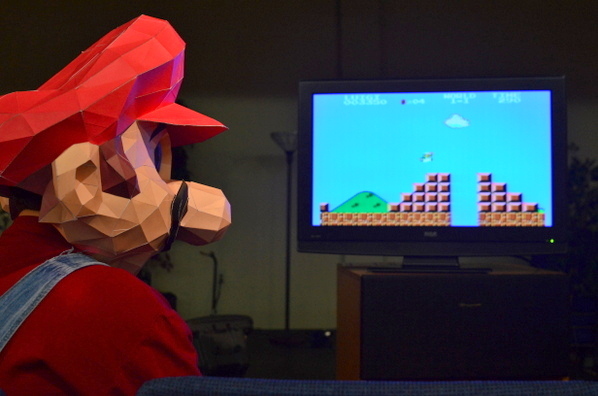 Ever since seeing the Big Head Mode papercraft costume made by Eric Testroete, I’ve wanted to make my own ‘Big Head Mode’ Mario papercraft costume. 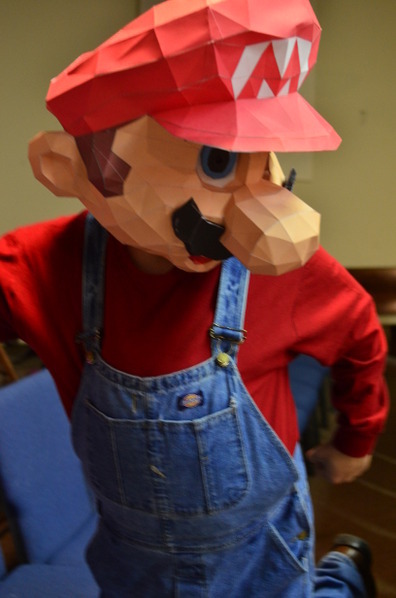 To simplify the process I found an existing Mario Head papercraft model and blew it up – big enough to wear as a costume. 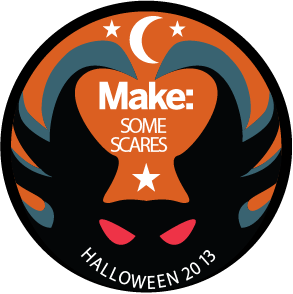 The original design was for a 15cm tall version so everything was magnified 3x larger to work as a wearable head. The design was printed in color on thick card stock and then cut, folded, glued, and assembled together. I left an opening in the bottom of the head and cut holes in the eyes to see just enough to safely walk around. Meta-Mario: Obviously this had to happen. It took 72 printed pages and a week’s worth of evenings to get everything done. Add in a pair of overalls and a red shirt and you’re good to go. The papercraft model that I used was designed by Pixel-Kakashi and can be downloaded here. There’s a similar (and simpler) model here that may also work. You could use a similar process to turn just about any papercraft model into a wearable costume! 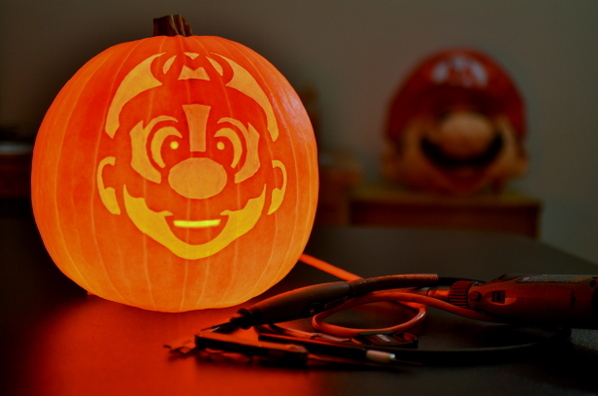 Why not carve a Mario Pumpkin while you’re at it.